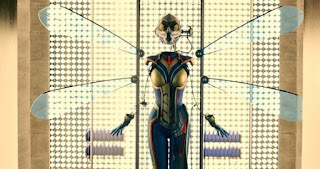 Yesterday Evangeline Lily shared the first good look at the Wasp costume and it's surprising. 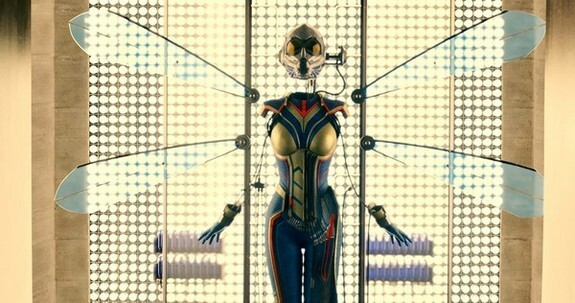 Since the end of Ant-Man, we've known that Hope Van Dyne would become the size-shifting superhero known as The Wasp. There have been many teases of what the costume would look like for the movie Ant-Man and the Wasp (2018). Here's the photo shared yesterday in a tweet by the actress saying "I am honoured to be on set today playing #TheWasp on what would be Jack Kirby's 100th birthday. 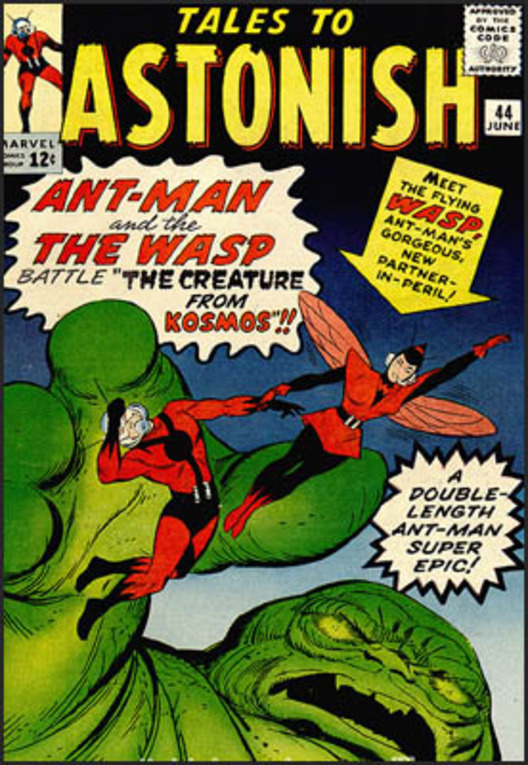 #ThankYouJackKirby #AntManAndTheWasp"
So the yellow highlights and helmet are coming later in the film. It's pretty cool and fits in with the style of the Marvel Cinematic Universe (MCU) costume style of form over fashion. I'm still waiting for Laurence Fishburne to break out his Goliath costume. 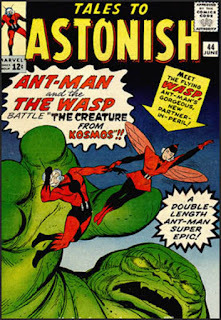 Official Synopsis: "From the Marvel Cinematic Universe comes a new chapter featuring heroes with the astonishing ability to shrink: 'Ant-Man and The Wasp.' In the aftermath of 'Captain America: Civil War', Scott Lang (Paul Rudd) grapples with the consequences of his choices as both a Super Hero and a father. 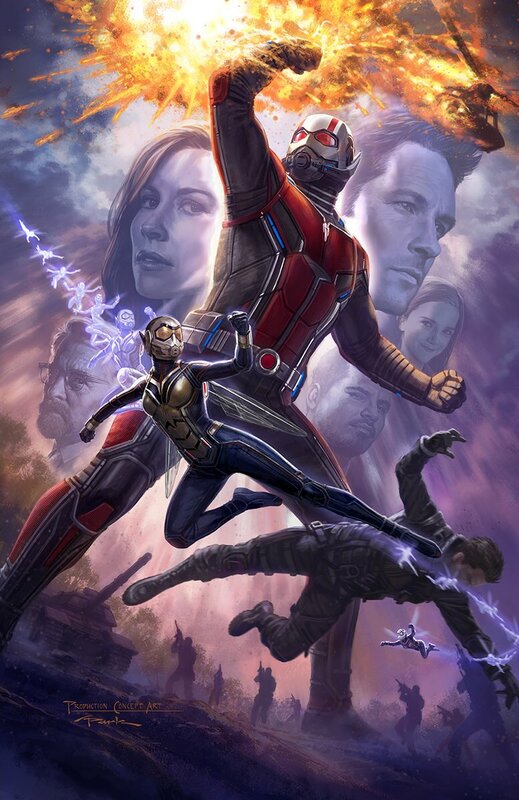 As he struggles to rebalance his home life with his responsibilities as Ant-Man, he’s confronted by Hope van Dyne (Evangeline Lilly) and Dr. Hank Pym (Michael Douglas) with an urgent new mission. 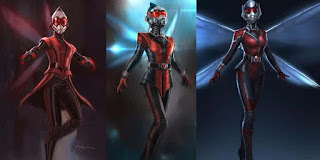 Scott must once again put on the suit and learn to fight alongside The Wasp as the team works together to uncover secrets from their past." 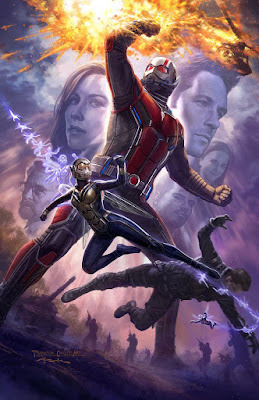 Ant-Man & The Wasp (2018) stars Paul Rudd as Ant-Man / Scott Lang, Evangeline Lilly as Hope van Dyne / Wasp, and Michael Douglas as Hank Pym along with Michelle Pfeiffer as Janet van Dyne, Laurence Fishburne as Doctor Bill Foster / Goliath, Hannah John-Kamen as Ghost, Randall Park as Agent Jimmy Woo, and Walton Goggins as Sonny Burch. Ant-Man & the Wasp (2018) is scheduled to be released in on July 6, 2018. Sorry, it just sticks out like a sore thumb in the article title.